As tamping is fundamental step to make a good espresso, you will need a tamping mat or tamping station to go along with your espresso machine. This mat will protects your counter top so your portafilter does not damage it. Tamping mats are usually made from silicon, making them non-slip. This material provides a sturdy base to ensure an even tamping. 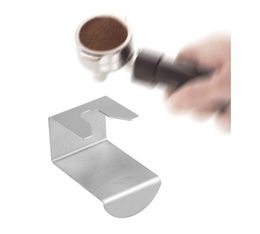 On MaxiCoffee, you will find a wide selection of tamping mats and stations - for all budgets! Black silicon tamping mat by Cafelat. Compatible with tampers up to 59mm diameter, whatever the type of base or shape. The perfect companion for your favourite tamper! Corner tamping mat in red by Cafelat. Made of durable silicon rubber, this original tamping mat will fit a small corner space. Black right-angle tamping mat by Cafelat. 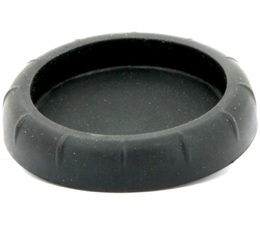 This sturdy, unique mat can be placed on a table or counter edge for excellent stability while tamping. Red silicon tamping mat by Cafelat. Compatible with tampers up to 59mm diameter, whatever the type of base or shape.